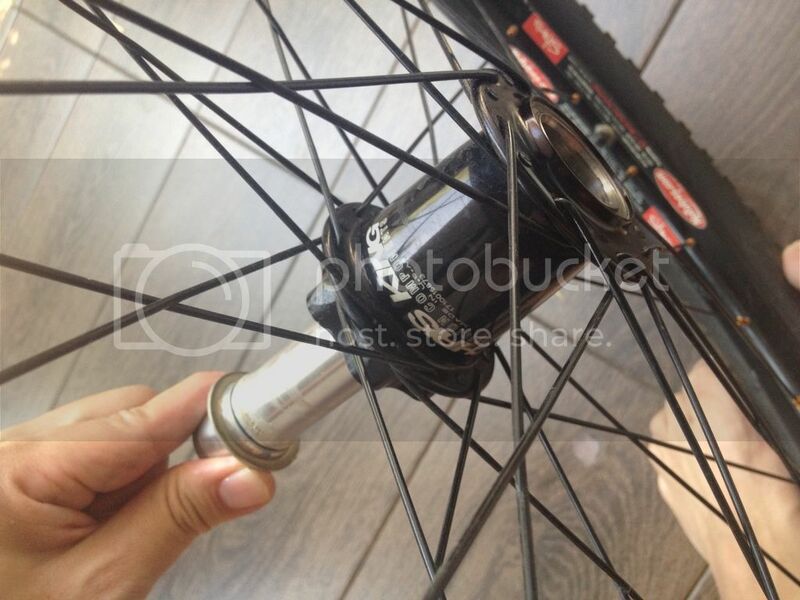 Two Wheels Good, Four Wheels Bad: How to Service Chris King Front Hub? The front hub of my Chris King wheel set finally produced noise after 2 years of abuse. 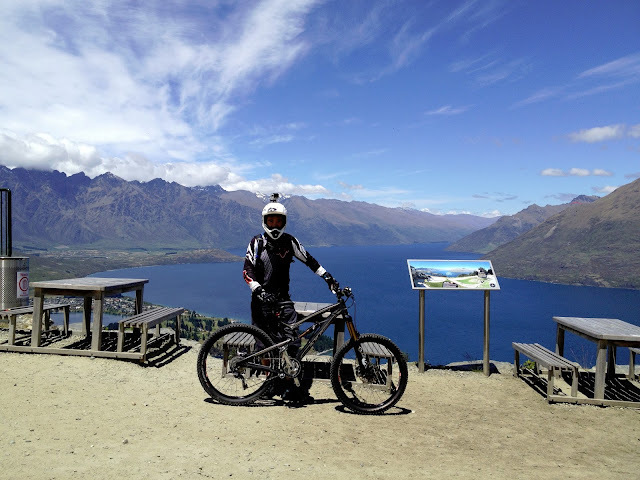 Muddy trails in tropical countries, stream crossing over muddy water, heavy rainfall in tropical and temperate climates, and snow crossing over alpine mountains. Chris King hubs were proven to be reliable and consistence in performance over 2 years of rough usage. Time has come to give them a little TLC. 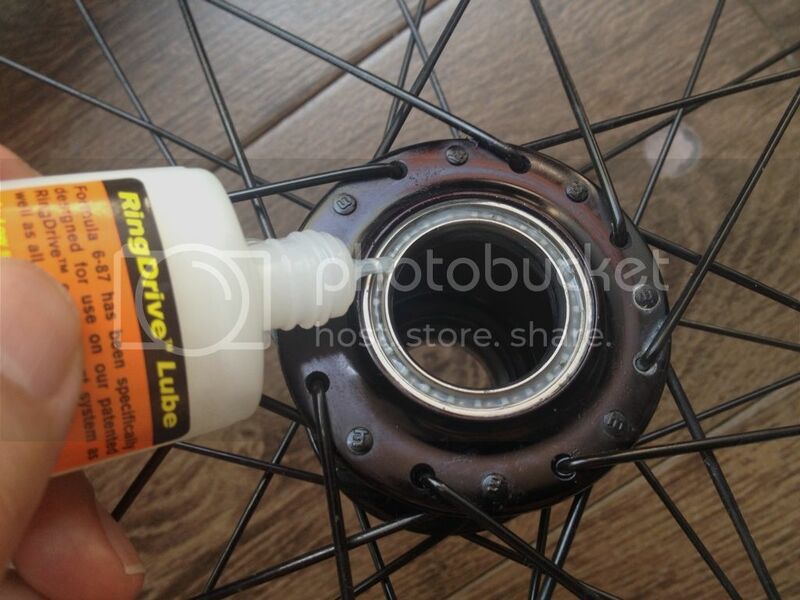 To do light servicing on Chris King front hub, all you need are: (i) Chris King RingDrive Lube, (ii) 2.5mm Allen Key, (iii) Allen Key to remove your brake rotot, and (iv) Pen knife. You need to remove the front rotor in order to strip the hub axle and drive shell. 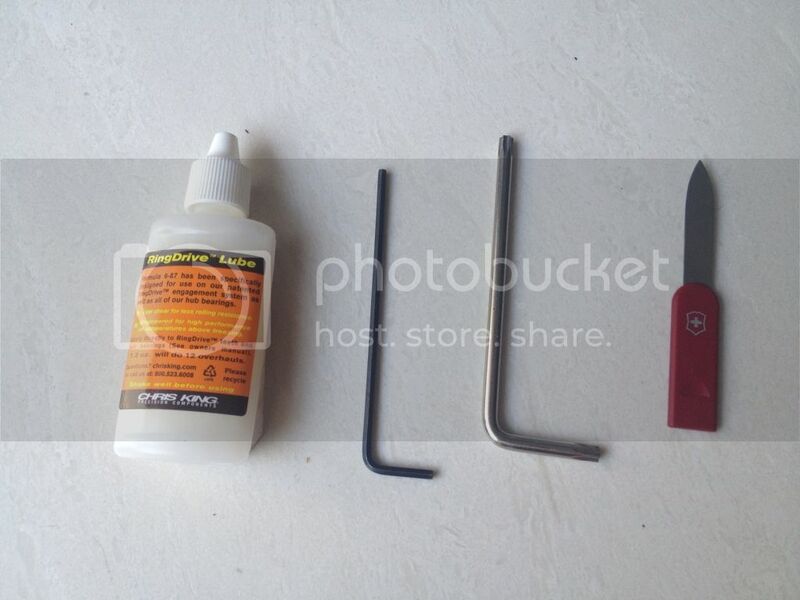 Refer to left photo, remove the front rotor by using proper allen key designed to do the job. Use 2.5mm allen key to losen the screw that secured the drive shell onto the axle. Older version of Chris King hub uses 5mm hex screw. 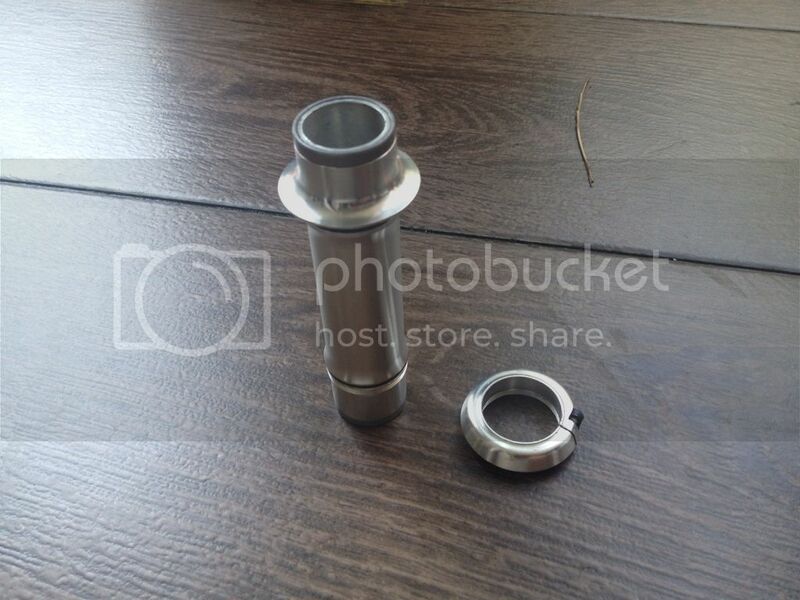 Once the 2.5mm hex screw is losen, losen the drive shell by turning it anti-clockwise. Remove the drive shell from the axle. 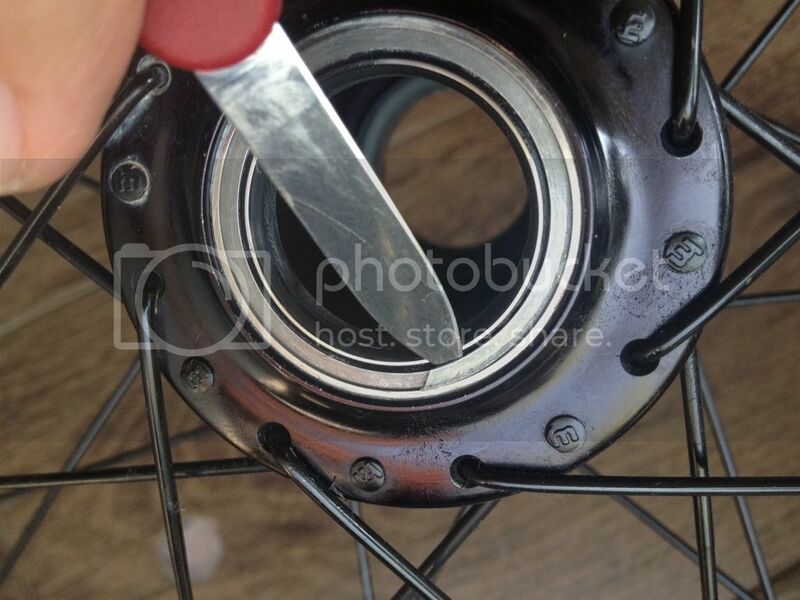 Once the drive shell is removed, pull the axle out from the other side of the hub. Use a clean cloth to clean and remove any dirt and old grease from the drive shell and axle. Use a pen knife to carefully remove the drive ring. Be careful not to damage the rubber sealant under the drive ring although the rubber sealant is made of tough material. Moves the pen knife along the ring as shown on the left photo, the ring will pop out by itself. The rubber sealant is meant to prevent water and dirt from going into the bearings. The rubber sealant is made of tough materials so that it will not break easily. Carefully remove the rubber sealant to expose the bearings. 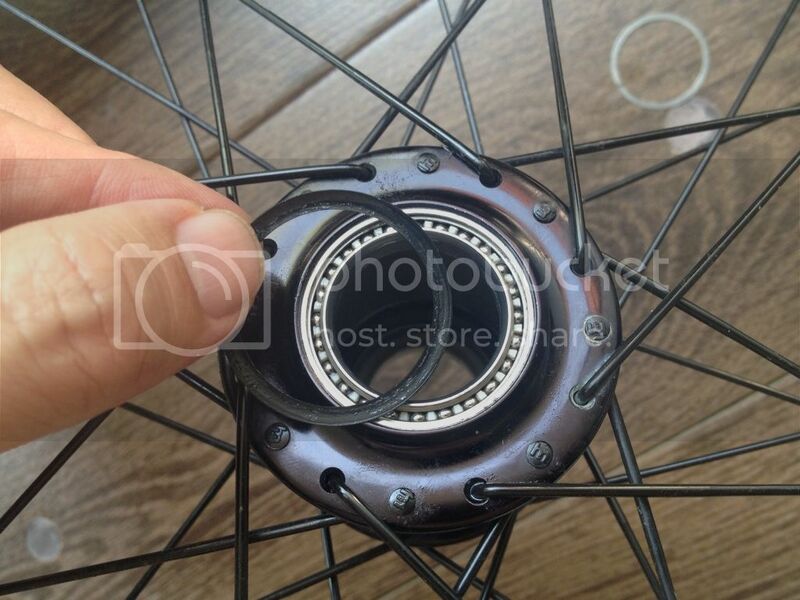 The photo on the left indicates that the bearing is clean but dry. Ensure the bearings are clean before lubing. You should use lub that is recommended by bearings' manufacturer. In this case, Chris King RingDrive lub was recommended. You could get it from CRC for about SG$21.00 (1.2oz). Please do not use any other lub as it may shorten the lifespan of the hub. Apply generously as shown on the photo. Assemble the rubber sealant and drive ring back onto the RingDrive. It takes a bit of training to do that. Patience is key if you are doing it for the first time. Once you have assembled the rubber sealant and drive ring, repeat step 5 to 7 on the opposite side of the RingDrive. 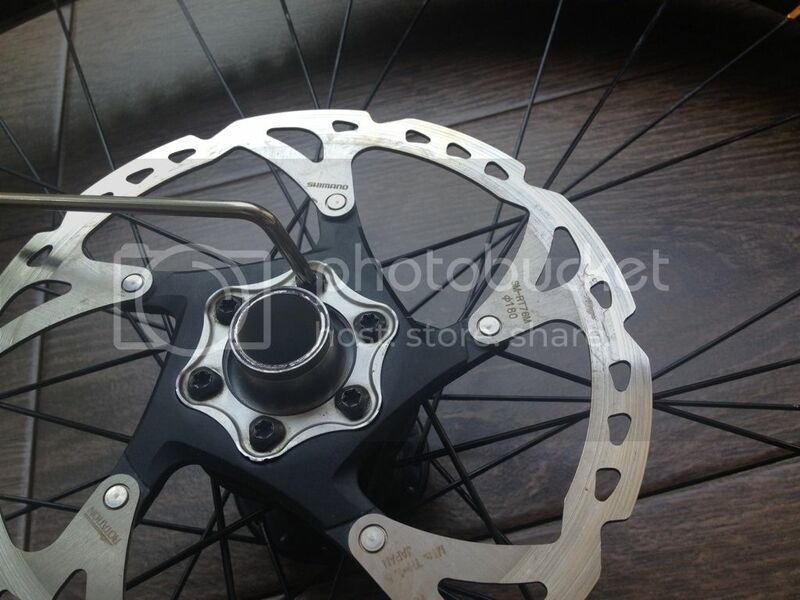 Assemble the axle and drive shell onto the hub before you assemble the brake rotor. 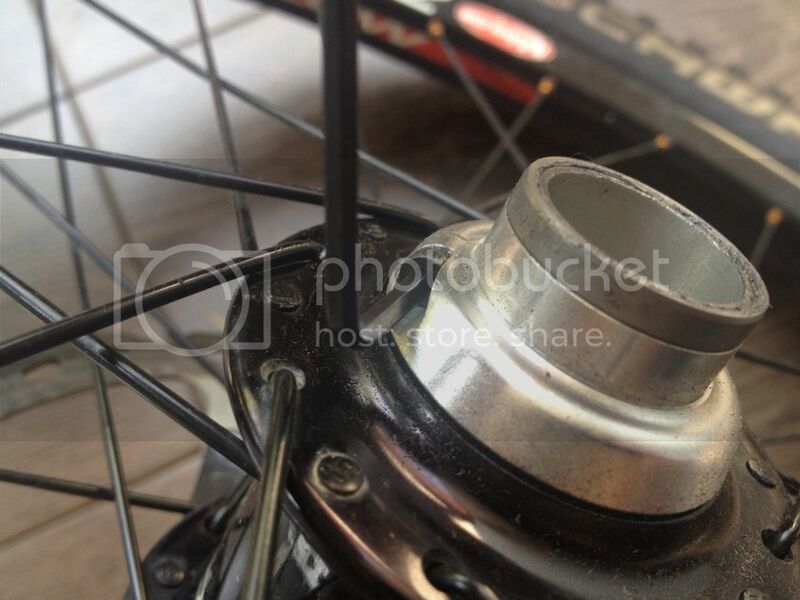 This posting illustrated how easy it is to service Chris King front hub. 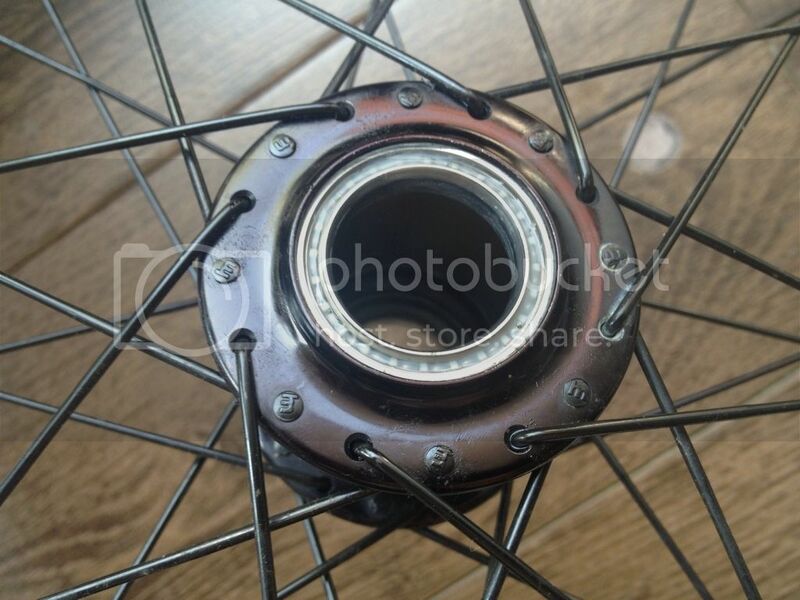 By any chance, will you be doing the same thing for the rear hub? 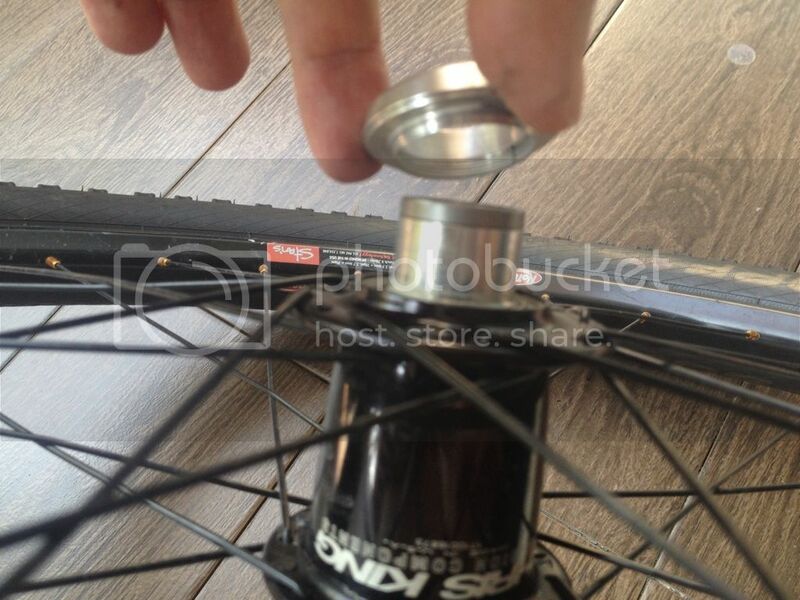 Yes Alex, I will be servicing the rear hub when I got the servicing kit from my friend.